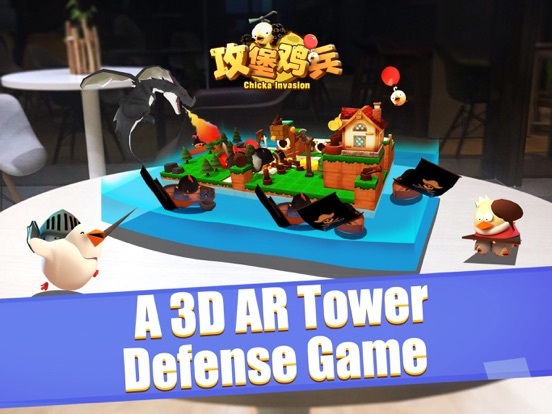 【Game Introduction】 As a 3D AR tower defense game, 3DTD brings you not only maps rotated freely by 360°, but also a distinctive physics engine with outstanding 3D effects. Shield against arrows from the chickens, slant rolling rocks with blocks and blow up chickens with a hammer! 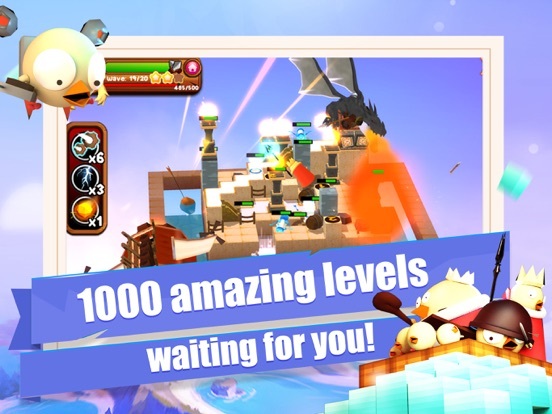 All you need to do is simple: rotate the map, put electric towers, crossbows and other weapons onto the grids you like and enjoy the battle with crazy and funny Chicken Expendables! 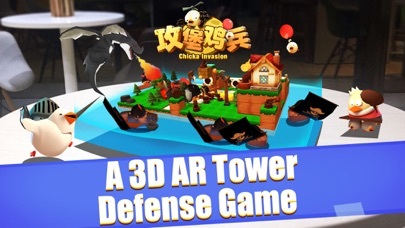 【Game Features】 --New Gameplay Build your 3D tower defense facilities on the floor, the table, the hand or anywhere to fight against the chickens! 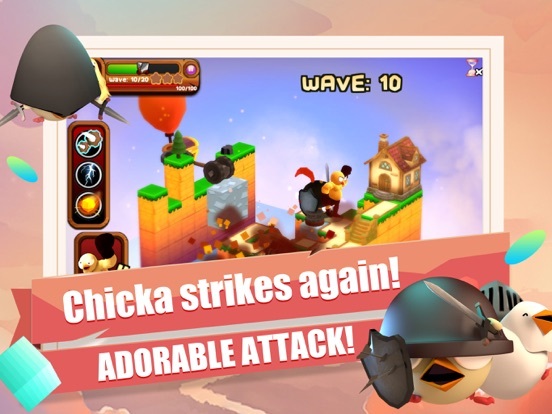 --3D worlds Simply rotate your view with one finger and defend against 360° all-out attacks from the chickens! 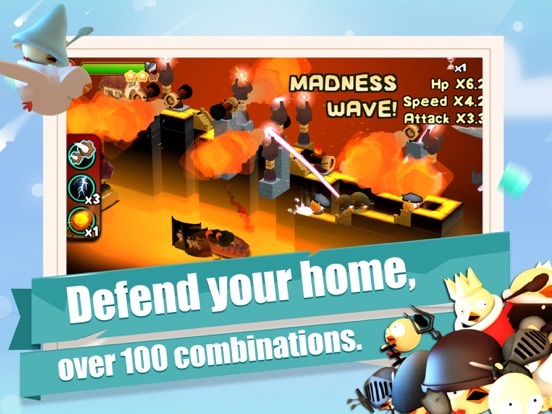 --Over 1000 Stages Over 1000 3D stages including dungeons, flying whales and battleships are waiting for you!Rotating and dragging, complete all levels with lovely, funny and special items. 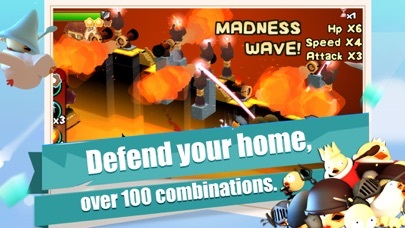 --Infinitely matches with 100 kinds of defense towers Collect over 100 kinds of imaginative defense towers for infinite matches! 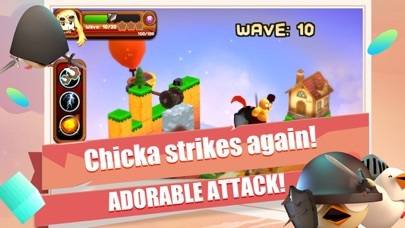 --A mass of cute chicken soldiers A mass of cute characters and countless specialties and skills will make you in a mess for sure. 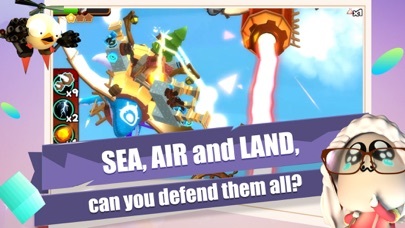 --Beyond the land With brand-new airplanes and big boats, battles will happen on beyond the land! 【Contact Us】 facebook：@CMGEIndie Twitter: @CMGE_Indie Instagram: fantasticgames_cmge Only available on iOS 9 or above temporarily 【Fantastic Games, an independent games supporting program of CMGE】 Fantastic Games, the independent games supporting program of CMGE, provides independent game developers overall supports with funds, technologies and services. 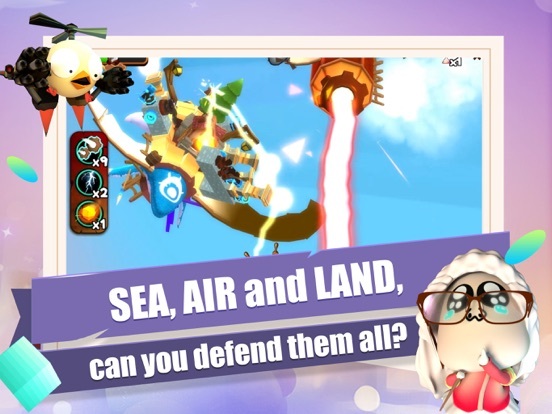 CMGE recently has achieved a strategic cooperation with some well-known independent game developers, domestic and abroad, such as LemonJam Studio, Coconut Island, and Chilly Room etc. They have brought us independent games in a joint effort, including Candleman, Shadow Play of Monkey King, Dino Hero, Riptide GP 3, Cute Runner, Sunpolis, Egg×Egg, Adventures in Dreamland, 3DTD, Uri: The Sprout of Lotus Creek, Miss Switch, and Usavich, Corecraft, Roundrick all recommended by App Store Top Games. 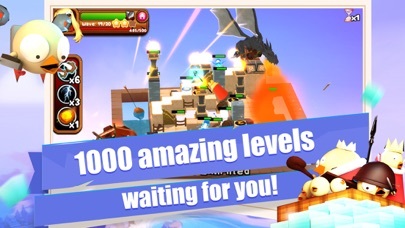 Join Fantastic Games, let’s build endlessly-creative mobile games on and on with your unique skills and techniques, as well as ours.